The .30-30 is one of the most iconic lever action rifles in the US pop culture. It is easily recognizable throughout any Western movies. The first iteration of the .30-30 rifle was called the .30-30 Winchester. It was designed with centerfire cartridge (7.62x51 mmR) and was first seen in action in 1895. Until today, the .30-30 rifle has become the classic choice for the traditional hunting and sports hunting alike. What makes the rifle outstanding is the decent power pack for its hunting range. It can deliver a great punch with a forgiving recoil. Therefore, both amateur and veteran shooter can conveniently enjoy the shooting experience with this rifle. One more important thing to keep in mind is that the .30-30 lever action rifle was designed without the usage of scope, rather the iron sight. However, there are various scopes in the market nowadays that are manufactured to enhance the accuracy of this rifle, based on the demands of the modern hunting game. 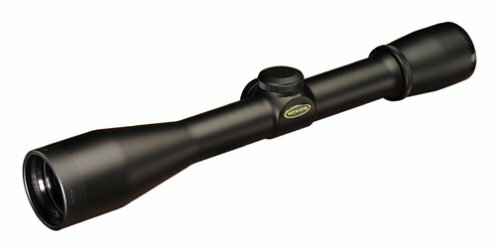 That is why there are a lot of great options for scope shopping that you can consider right now, depending on your specific demands. 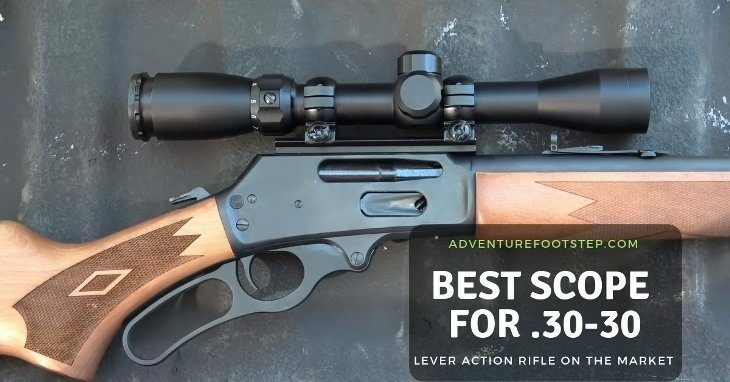 Do not worry; we will deep dive into the reviews of the best scopes for the .30-30 lever action rifle to give you the best bang for your buck. Why is The .30-30 Popular in The Hunting Game? Before getting into the reviews, let’s view some of the characteristics and distinctive traits of the .30-30 cartridge and rifle. At the end of this section, you will understand why this particular rifle is one of the hunter’s favorite. It will help you to pick out the right scope for your rifle. Let’s get started with some technical numbers. The .30-30 has two parts. The .30 means the rifle will use a .30 inches diameter of the bullet. The additional -30 stands for the 30 grains (or 1.9 g) or smokeless powder, which was commonly used in the rifle in the 19th century. However, today the cartridge utilizes the bullet with the weight between 150 grains and 170 grains (about 9.7 to 11g). This is the most optimal measure for the bullet to deliver the best power down range since the lever-action rifles have a particular length restriction that will make heavier or lighter ammunition inefficient. Furthermore, the .30-30 shines in the hunting range of 200 yard (183 m) which is slightly a bit above medium range. This rifle is deadly effective in this range for the deer and other predators hunting game. You should not get a scope with an enormous high magnification power (more than 11x) for this rifle. As we already discussed above, it does not suit the shooting range of the .30-30 rifle, which makes your investment not worth the money. If you look for a solid option to kick start, the Weaver K4 is an excellent option. This particular scope has been the primary choice of hardware to mount the .30-30 rifle throughout the history of American hunting sports game and battlefield ever since the 1940s. One important feature to notice beforehand is the fixed magnification power of this scope, which stays at 4x. For many shooters that preferred the flexible, various zooming options, this might seem like an inconvenient setback. However, it is a reasonable distance for the medium range optics, if you can get used to it. This is usually the range that anyone can feel comfortable with their hunting game. Besides, the scope does an excellent job of providing a clear and crisp image quality. 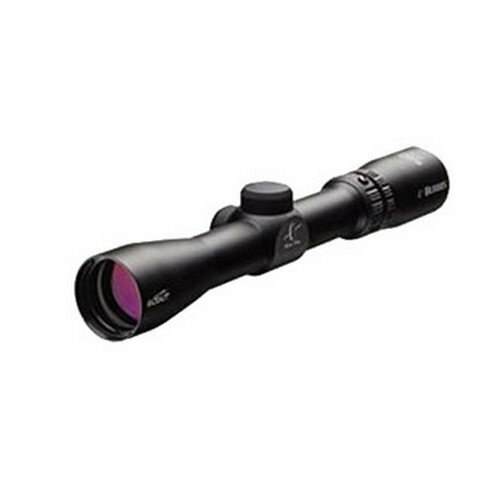 The scope material is waterproof, fog proof and shockproof, which makes it durable for any type of hunting environments. You can expect this scope to last long on a much long hunting expedition. Another thing to mention is the simplified design of the scope, which fits in nicely with the classic look of the .30-30 rifle. You do not want an extremely modern looking scope mounted on your lever action rifle. And this scope just offers a perfect match right out of the box. Fixed 4x magnification power. Users have to develop a dependent habit on it. The Burris Scout scope is initially designed for the .308 bolt action rifle. However, a lot of users have been experimenting this scope on the lever action rifle. And the results came back with positive points. The most remarkable feature of this scope is how it is straightforward to handle. Anyone can get used to the scope within a short amount of time without any prior training. The immediate eye relief feature on the scope makes it easy on the eye, especially when you need to stay still and keep a track on your target for an extended time. Beside quick target acquisition, this scope also is designed to go along well with the iron sight on the .30-30 rifle. The scope will not get in the way of the iron sight, which you can still use to aim a target at close range. 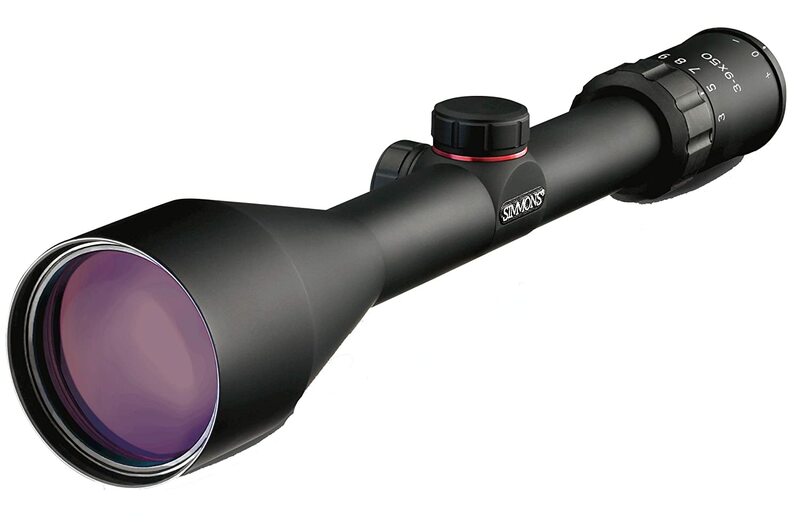 With a power magnification up to 7x, you can conveniently expand your range up to more than 100 yards. The image still holds a clean and crisp quality thanks to the multi-coated lens. Similar to other products in the market, the scope material is made to resist water, fog, and shock. You can use this scope under any kind of weather condition. Requires additional mount to fit with this type of scout scope. 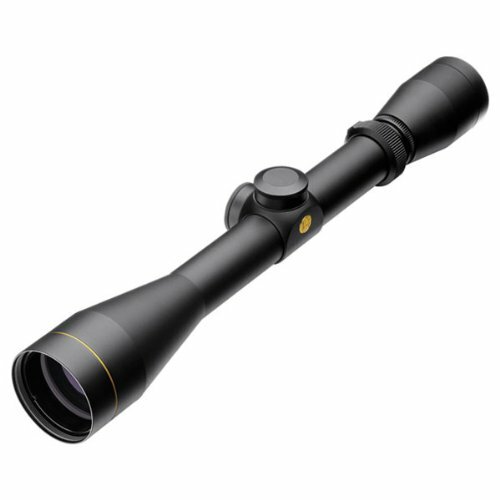 Leupold is one of the most recognized brand names of scope manufacturers. If you are a veteran, you must have used one of their products. If you are a beginner, nothing could go wrong for a Leupold as your first purchase. The Leupold has been building a scope for hunting throughout countless generations. With the VX-1, they aim to take the shooting experience with the .30-30 rifle to the next level. The specifics of the VX-1 are the 3-9x magnification and 40mm reticle. That is quite a good magnification option for short to long range aiming. The built-in 3:1 zoom ratio erector system is the outstanding technology of Leupold’s product. You can acquire the target in tremendous speed. It is perfect for your hunting game, regardless of any external situation and condition. Furthermore, with the 1/4 MOA adjustment, you can precisely re-configure the zooming options of the scope within minimal finger clicks. All the windage and elevation effect has been accounted for. You will have the most flexible aiming options with this scope for long-term usage. The fantastic 3:1 zoom ratio erector system from Leupold. Multi-coated 4 lens that offers the highest image quality possible. Precise 1/4 MOA finger click adjustments. Eye relief feature is slightly limited. The first thing to discuss this scope is the 8-Point system that can provide the shooters with the highest quality image. This scope is second to none to another adversary in the same class. The optics are fully coated that will allow the maximum light transmission within the tube. The image will always appear brighter and crystal clear, even in the low and poor lighting environments. This scope also features the 1/4 MOA SureGrip system. It means that the users can click and turn the turret precisely to compensate for the windage and elevation effect. Moreover, the TrueZero system that comes with the Simmons brand is brilliant. The scope will stay fixed the zero settings (the most optimal settings) against any type of continuous changing environments (think of rainy or snowy day). That is not to mention the quick target acquisition eyepiece that can always lock down the target with ease. There is no target that can elude the lockdown from the Simmons scope. 1/4 MOA SureGrip that let users adjust the zoom with precise finger clicks. As we have come to the final verdict for our .30-30 scope, there are quite many available options to choose in the market. As the rule of thumb, there is no scope that is significantly better than the other one. It all depends on your specific needs as well as your shooting style. Still hesitant? No worry we’ve got you covered. If you have not purchased any scope before and now you look for something that will instantly work right out of the box for your .30-30 rifle, choose the Weaver K4. This is a perfect match for the lever action rifle, from the outside design to the fixed 4x aiming range. If you are experienced with shooting and are looking for a feature-rich purchase, then there is nothing can rival with the Leupold VX-1 on your .30-30 rifle. The brand name is enough to guarantee the satisfaction with the scope. Last but not least, both the Simmons 8-Point and the Burris Scout scope are the fine choice for the long range hunting game. You could choose either one and will be happy with them out on the field.